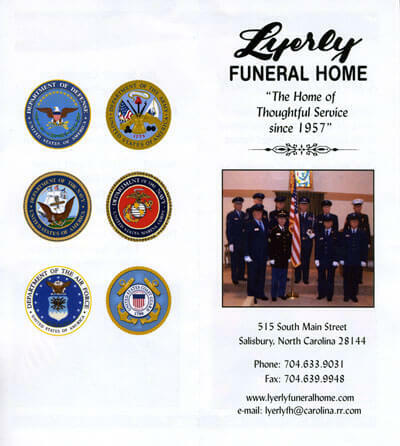 Lyerly Funeral Home has been serving this community for over 50 years. The tradition of “Thoughtful Service” has continued since the funeral home was founded in 1957. With that in mind, Lyerly Funeral Home honors those who served our country by providing Veterans a military funeral honors ceremony, which includes and is not limited to the folding of the flag, flag presentation, playing of taps and firing three volleys of the rifles. 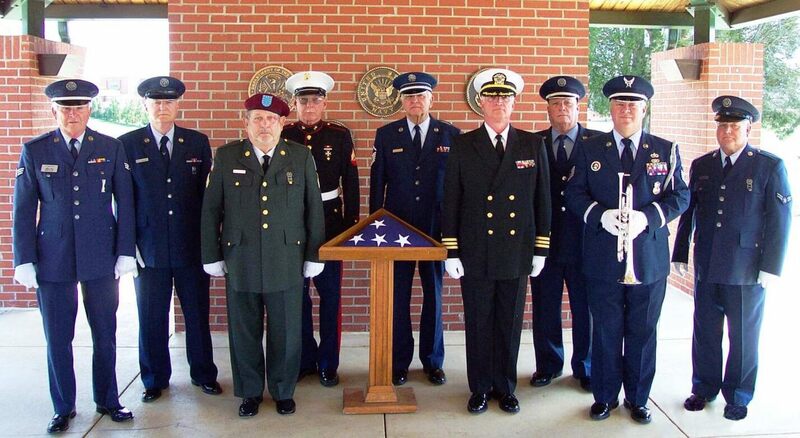 We coordinate participation from Lyerly Volunteer Honor Guard or the local honor guard in your area. 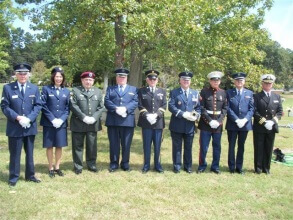 In addition to the military funeral honors ceremony, we assist in the completion of the forms from the Veterans Affairs. Please contact the office for pricing information. Click here to view some of the Veterans Packages Available. You should advise your family of your wishes and where your discharge papers (DD214) are kept. These papers are very important in establishing your eligibility. You may wish to make pre-need arrangements with a Lyerly Funeral Home. Did the decedent reside within 75 miles of requested cemetery? Is surviving spouse a Veteran? Any disabled children for future interment (must provide name and date of birth). If requesting immediate interment (must provide marital status, doctor's statement stating type of illness, date of onset of illness and capability of self-support). A Certificate of Appreciation is presented to the donor for providing their loved one's burial flag to a national cemetery. Burial benefits available for Veterans buried in a private cemetery may include a Government headstone, marker, or medallion, a burial flag, and a Presidential Memorial Certificate, at no cost to the family. Some Veterans may also be eligible for Burial Allowances. There are not any VA benefits available to spouses and dependents buried in a private cemetery. *Retrieved from Burial Benefits - National Cemetery Administration, http://www.cem.va.gov/cem/burial_benefits/index.asp. For additional Veteran Benefits, please visit the U.S. Department of Veterans Affairs website.